Ultimate Wedding Magazine was founded in 2011 and officially launched on Valentine’s Day 2012. Originally launched as a free A5 luxury printed bridal magazine stocked by the finest boutiques and establishments across the Home Counties in England. The printed magazine was reaching an audience of 12,000 readers each season. It wasn’t too long after that digital readership overtook print readership and the printed magazine was in demand throughout the UK and also Northern Europe. Ultimate Wedding Magazine took the decision to retire from print in the winter of 2013. Now Ultimate Wedding Digital is a pioneer in the UK wedding marketplace with the first (and only) fully interactive digital wedding magazine. The digital portfolio reaches over 500,000 readers annually across all devices. From immersive 360-degree video content on readers’ devices to real wedding stories on the website, UWM is with couples at every part of their wedding journey. 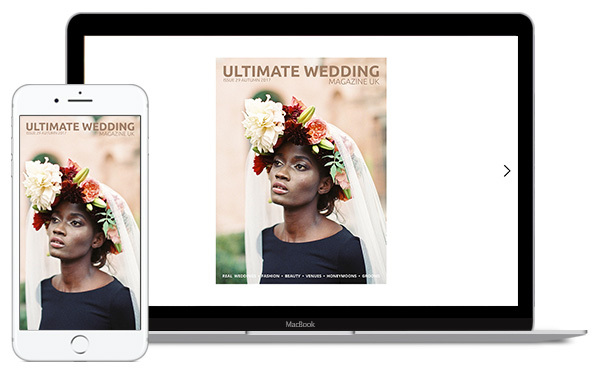 In January 2017, Ultimate Wedding Magazine rebranded to Ultimate Wedding Digital to fully represent its digital offering across all devices. The world’s only fully interactive digital wedding magazine is a unique reading experience. From the start of the wedding journey, UWM provides informative editorial, exclusive competitions, inspiration and advice. Between buying products with a simple tap, to watching video venue tours, Ultimate Wedding Magazine is a one-of-a-kind digital wedding inspiration adventure. Working on a quarterly calendar, UWM is available via the website and mobile app seasonally. You can view the latest issue on the magazine page. 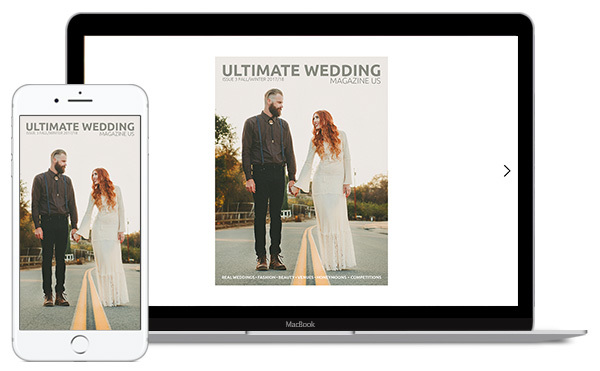 Launched in the autumn of 2016, the US Edition of UWM is the first in American wedding media. Using the popular design and interactivity of the UK edition, this is filled with content catered exclusively to wedding planning couples in the US. Launched on a bi-annual basis, the magazine features the latest seasonal trends, exclusive offers and competitions. This is available to view online via our website or from the free mobile app. You can view the latest issue on the magazine page. Reaching an average of 35,000 visitors monthly, the UWD website is a continuously updated inspirational wedding resource. The website hosts content exclusively online and won’t be found in the magazine, thus creating a resource to back-up and sit alongside the magazine. Discover the latest news, fashion, beauty, honeymoons and real weddings. From the website, readers can enter all our competitions for the chance to win fabulous prizes. A premium collection of top wedding suppliers from across the UK. Discover gorgeous venues, amazing photographers and many more suppliers to help create a wedding day to remember. Easy to use, search by category and view large high-quality images and videos. Ultimate Wedding Collective is optimised for all devices enabling couples to discover a supplier and get information quickly and easily. As an independent media outlet, we monitor every piece of editorial that you’ll find online, in the magazine or promoted on social media. Here are a few things we don’t promote and a few things we do to leave the world a better place. We never have and never will promote weight loss or diet products. We do however promote a healthy lifestyle through technology and fitness products. You shouldn’t have to feel that cosmetic surgery is vital for your wedding day. Cosmetic surgery has its risks and it’s not a risk worth taking for one special day! Luckily Apps aren’t tested on animals, but to be serious for a moment, we like to promote cruelty-free products. We do not feature products made from real fur, skins of exotic animals or anything where animals are used for entertainment. Removing UWM from print in 2014 has saved thousands of tonnes of paper. Being a digital-only business we do not incur distribution costs, therefore, a massive saving on CO2 compared to our previous business model. Paper in the UWM office is kept to a minimum with the usage of digital invoices, online booking and digital proofing (we really are a fully digital business). UWM is a small team, therefore waste from our office has always been kept to a minimum. All paper, plastic and tin is recycled and could be made into something even more exciting! Lighting and electrical equipment are switched off every night. Why would we light an office that nobody is in? Crazy isn’t it!